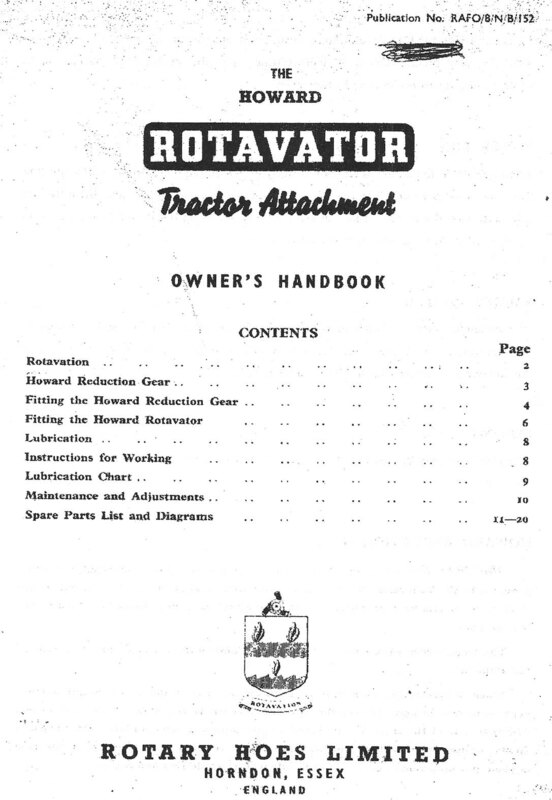 Roy Behner was kind enough to donate his owner's manual for the Howard Rotovator tiller to us. Thank you, Roy - much appreciated! !